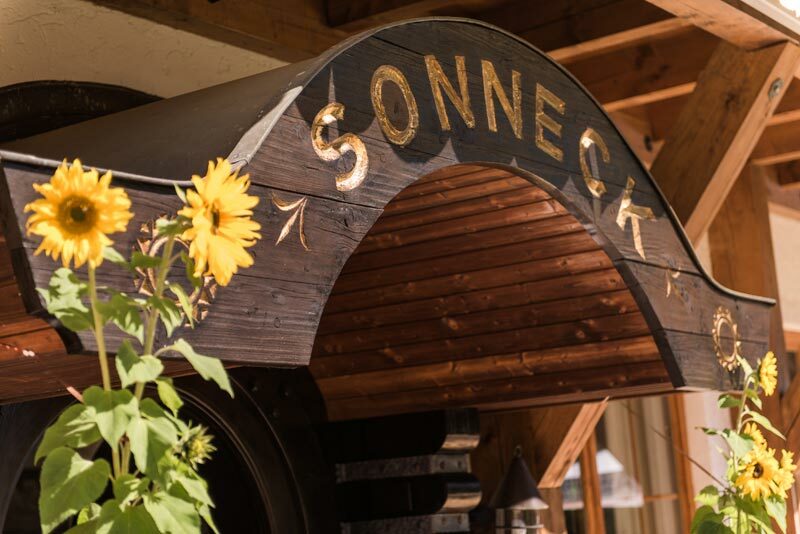 Our hotel is situated high above the traditional Allgäu spa town of Bad Hindelang, and is only a five minute walk from the town center. 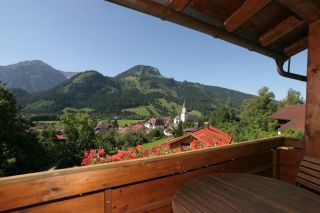 Our location and south-facing aspect guarantee sunshine from early in the morning to late in the evening and an unobstructed view of the Ostrach valley mountain landscape. Our hotel’s comfortable size with 22 rooms allows us to provide honest, hearty hospitality. We see ourselves as hosts and do everything we can to ensure that you have a wonderful vacation in our hotel that will continue to echo its positive effects long after you leave us. In addition to comfortable rooms that represent a perfect refuge, you also have access to our spacious sun terrace, a lawn area for sunbathing and our cozy lounge. No matter what floor your room is on, it can be conveniently reached by elevator. Enjoy the tasty breakfast buffet in our own restaurant, where our chef can later spoil you with fresh dishes featuring regional products. Up to 80% of the Bad Hindelang region is a protected nature reserve. The “Allgäuer Hochalpen” area offers countless wonderful walking and hiking tours. You can go downhill or cross-country skiing in winter, and there are many destinations close by worth an excursion at any time of year. Each district is a treasure trove of tradition and craftsmanship. Further information is available at www.badhindelang.de. Looking for a full day of relaxation? Then our spa area with Alpine view will be just right for you.